What the summary doesn't tell you is that book it isn't just about June. It's also about Finn, her mother, her sister Greta, Finn's friend Toby and to a certain extent, even June's father's story gets told. It's about how each of them love fiercely and the many ways love can make you do and feel crazy things. Sometimes petty, angry and jealous things. How sometimes love doesn't make sense at all. June is really young and she's terrible when it comes to speaking up. She doesn't know how to read people, I mean she barely understands herself. But there's this awkward innocence to her and this desperation to be loved. I couldn't help but feel for her. Who hasn't felt desperate to be loved and accepted for exactly who they are? But even other characters, like Greta and her mom. Sometimes (actually, a lot of the time), I hated them. They could be so cruel and judgmental. Yet at the root of it, they were just scared and hurt and trying to hold onto their loved ones. But I think the two people who made the biggest impression on me were Uncle Finn and Toby. I can't go into too much detail but their personality and hearts just leapt off the pages. I loved seeing them through June's eyes and the impact they each made on her. Honestly, every person is so (tragically) flawed and ultimately that's what made the book so beautiful to me. (Potential) reservations: Just be ready to feel frustrated and possibly a tad uncomfortable by certain characters. But just. keep. reading. Do I recommend? : It is a truly heartbreaking book -- I don't think it's possible to read this and not be sobbing by the end of it. So if you're in the mood for beautiful storytelling and a good long cry, read this. 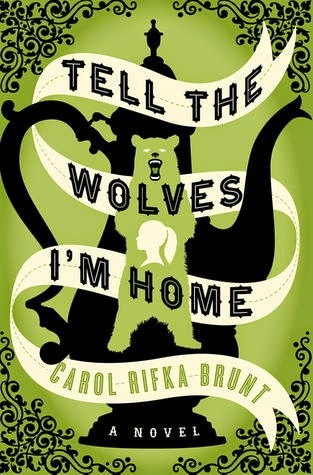 This is on my TBR list so I cannot wait to move it up. Your review makes me want to read it now. So basically, you're telling me that I MUST read this book. Seriously, this sounds brilliant and moving and very very different. Plus, that cover is GORGEOUS. I loved this book in a serious way and definitely sobbed in it. Great review!